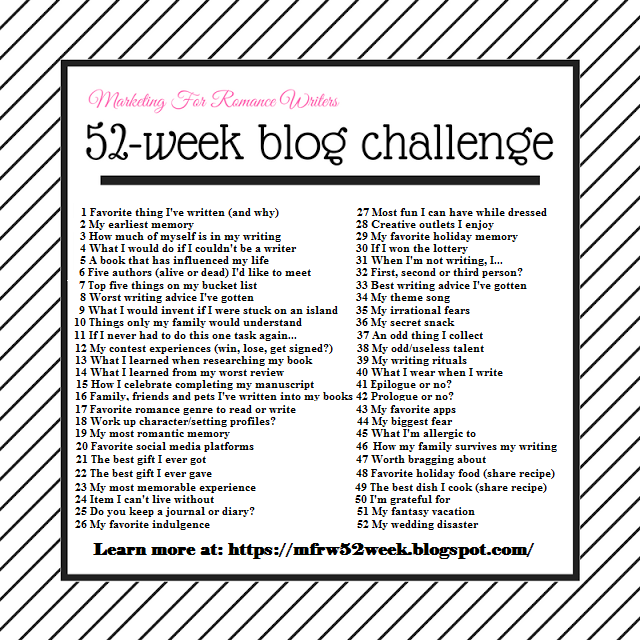 This week’s writing prompt is, If I never had to do this one task again…. I don’t think it is any coincidence that the day I hired a housekeeper to not only clean, but cook one meal a day, I was able to complete my first novel, one that I had been working on for three years. The daily discussion of “what’s for dinner” is mentally exhausting. You have to figure out what to eat (something everyone wants but that you haven’t already eaten too recently), then try and remember what groceries are already at home vs. what you will need to pick up from the store, then go to the store, go home, cook the meal (and I’m sure many of us have hundreds if not thousands of recipes stored in our minds), serve dinner, then clean up afterward. It takes a ridiculous amount of brainpower when you break it down. And doing it day in and day out, sometimes multiple times a day – you’d be shocked at how much daily time and brainpower this one aspect of life takes. That’s probably why food-prep companies like Blue Apron are taking off. It is amazing how much you can get done when you remove this one variable from your life. And this is only one example. The more you can delegate and automate, the better your life will be. There is a reason why Angelina Jolie wears only black or Mark Zuckerburg wears only jeans and a gray T-shirt. Be removing “what am I going to wear today” from the daily list of things to do (not to mention removing shopping from clothes and complicated laundry tasks) from the to-do list, your mornings – and much of the rest of your life – becomes that much easier. What about you? What would happen if you could eliminate one task from your life? Let me know in the comments.